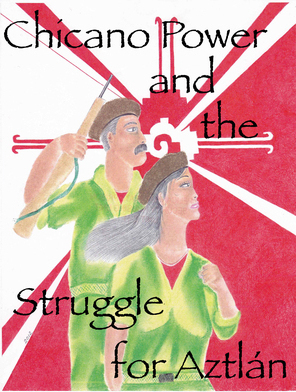 I received my copy of the book that you sent entitled [email protected] Power and the Struggle for Aztlán. I found it quite interesting because of its historical reflections, but it also produced a storm of negative thoughts to disrupt my normal tranquility and this is why. In regards to inclusion of the Agreement to End Hostilities in the [email protected] Power book, for the most part those individuals who reside on a Special Needs Yard (SNY) are not the enemy, but merely opponents with opposite points of view and I believe that to disrespect us merely because we refuse to conform to the ideology of those who believe themselves to be demigods is to go against the five principles of the United Front for Peace in Prisons. Because not everybody on an SNY are snitches who work for the pigs. Contrary to the propaganda that is preached not everyone has gone through the debriefing process. To be real it's only about 10% who actually had to debrief because they were validated. I don't understand why you would choose to destroy such an educational book with the propaganda that has been professed to be against "the establishment", but has utilized the worn out but effective tactic of divide and conquer for all these years. If they have learned anything from the treatment that they've been subjected to, for all those years, I would think that they would have learned that when you've got your hands full, that the only way that you will be able to grab on to anything new, is to let go of the past. All unity with no struggle is the hallmark of opportunism which leads even those claiming to fight for the oppressed to take up the mantle of oppression as they continuously gloss over contradictions within the broader movement for democratic rights. This is why we must not only unite in order to struggle, but struggle to unite, as only then will the struggle for democratic rights behind prison walls develop to the point that the old prison movement fades away and enters a new stage in its development. This will be the stage in the prison movement in which the prisoner masses finally realize that their oppression is unresolvable under the current system. 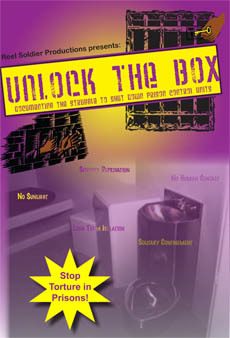 This will be the stage of the prison movement in which prisoners will give up their illusions of the current system. This will be the revolutionary stage in which millions of prisoners will demand national liberation for the nations oppressed under imperialism. As dialectical materialists, Maoists are aware that all phenomena develop within the process of stages. The prison movement is no exception. The prison movement is currently in its early, embryonic stage and not yet pregnant with revolution. The Agreement to End Hostilities (AEH) and the Pelican Bay Short Corridor Collective (PBSCC) are still a long way from advocating for the revolutionary nationalist stage of the prison movement. More importantly neither the objective conditions nor the subjective forces of the revolution have been sufficiently prepared for the prison movement to have entered this stage. This is not so much a judgment of the PBSCC as it is a statement of facts. However, as stated earlier, unity without struggle is the hallmark of opportunism and while we support the AEH, because we recognize and uphold the progressive nature of that document in our present stage, this should in no way mean that we won't criticize where it fails to represent the true interest of the prisoner masses. Before going into this topic further however, some background on the [email protected] Power book is needed in order to clarify any misconceptions people have have about who was behind the book project. To be clear, [email protected] Power and the Struggle for Aztlán was a collaborative effort between revolutionary nationalists from the [email protected] nation and MIM(Prisons). It was written primarily for the imprisoned [email protected] masses in an attempt to not only educate [email protected] on our hystory, but our reality. It was an attempt to produce a comprehensive but concise work that fuses [email protected] liberation with Maoist ideology. The authors of the AEH did not take part in the production of this book. In addition, both [email protected] Power and the Struggle for Aztlán and the AEH were mutually exclusive projects carried out by two mutually exclusive groups around roughly the same period. This point is extremely important to grasp because of the scope and significance of these projects, as well as their correlation, because it speaks to the leaps in consciousness amongst both these groups. This goes to show that the revolutionary current has once again begun to surge in both the lumpen class in general and the [email protected] lumpen in particular. Both the AEH and [email protected] Power represent positive steps in the right direction. So, while we most certainly believe that there is much room for improvement in the AEH and have said so since day one, we also believe in such a thing as United Front organizing. United Front organizing involves the unification of various groups, organizations and individuals around a common program capable of bringing together as many progressive forces in order to defeat the common, stronger enemy. The result is an alliance which, while not always easy or without difficulties, gets the job done. Therefore, what is required during this particular stage of struggle is strategic and not ideological unity. To make ideological unity a pre-requisite for U.F. organizing will undoubtedly amount to defeat after defeat for the prison movement because not everyone is at the same place politically, or of the same mind. Some people participating in the AEH are New Afrikan revolutionaries, some are for Aztlán liberation, while more are still stuck in old gang mentality; Norteño, Sureño, Blood, Crip. Some are even SNY! And while there are many things that these groups don't have in common there is still one thing that binds them together — their common oppression at the hands of a common enemy. More to the point, our decision to take part in this United Front comes from the Maoist conception of the principal contradiction. The principal contradiction is the highest, most influential contradiction whose existence and development determines the existence and development of other contradictions. Therefore, it is imperative that all California lumpen organizations and individuals unite and uphold the correct aspects of the AEH, all the while building newer, stronger and more correct foundations based upon the revolutionary aspects of the AEH while rejecting its reactionary aspects. Doing this will ensure that the progressive nature of the document will continue to push the movement forward, lest it retrogress, stagnate and die. The present principal contradiction within the prison movement was identified by United Struggle from Within (USW) and MIM(Prisons) comrades as the parasitic/individualist versus self-sufficient/collective material interests of prisoners. Within this contradiction it is the parasitic/individualist aspect that is currently dominant, although the self-sufficient/collective material interest aspect, while currently subordinated, has been steadily gaining prominence. How this contradiction will turn out is wholly dependent on how the prison movement continues to develop. Will it continue to move forward or will it retrogress? 1. Wiawimawo, September 2015, "Torture Continues: CDCR Settlement Screws Prisoners", Under Lock & Key No. 46.